It seems to me that Steps 6 and 7 are the most underused, overlooked steps in recovery programs. In the Big Book, they take up a scant two paragraphs. In other literature, they are only touched on with a simple prayer or two. But for me, these two steps are vital to my continued emotional and spiritual conditioning and I cannot ever take them for granted. In fact, I must stay in these two steps every day. Once I completed my 5th step, I became acutely aware of all my shortcomings, my defects of character. At first I thought the choice of words, “defects” was rather harsh. I knew I was defective, there was no doubt about that. But I didn’t like other people to label me that way. Different recovery programs call these defects different things. Some refer to them as shortcomings, flaws, character traits, etc. No matter what I call them, they are things that have caused me pain and discomfort in my life. They have usually caused me to behave in ways that are harmful to me and others. And no matter what they are called, they are negative influences and must be removed if I ever want to find peace. Some of these defects were things I was very eager to banish. I didn’t like them, I didn’t want to be associated with them and was only too glad to get rid of them. 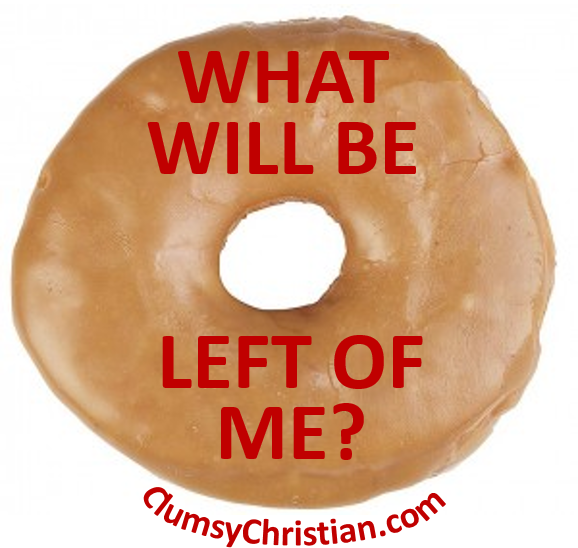 Defects like depression, fear, anger, self-pity, judgment, intolerance, impatience and isolation were all character traits I was more than ready to have God remove. In fact, I begged him to take them from me. Others, however, were like old childhood friends. These were traits that had been my companions my whole life. I had grown up with these traits, made memories, good and bad with them. I had cried, laughed and hurt with these traits. They had kept me safe and protected me in times of danger. And they had also caused me tremendous pain. They were like those close relatives or friends that can cause me joy and agony. The ones your mother warned you about. And just like those relatives and friends, I didn’t want to let these traits go. These traits were sarcasm, self-indulgence, victimhood, superiority, criticism, martyrdom, false humility, pride, self-reliance and self-medication. All of these friends had led me down dark roads and caused huge amounts of chaos in my life. But they had never left my side in times of trouble either. They were steady soldiers in my battle against myself and others. They were sharp and agile and I had mastered them all. To live my life without them was an overwhelming thought. When I was confronted with the idea of never seeing these buddies again, my sponsor pointed out that defects can be seen like coins. Each one has two sides. In other words, each defect can also be used in a way that makes it an asset. I just had to be willing to flip that coin over and polish the other side. This was very good news to me. But it was also scary. I was kind of afraid that I would never be able to flip the coins over. I was afraid they would be too heavy. I was afraid that even if I did manage to pry them from the dirt bed they were planted in that they would take years of cleaning and scrubbing before they shined and became truly valuable. This was great news to me. I was overjoyed to see that remove does not only mean “to get rid of.” It also means to set aside, move to another location, or as in the third definition… “to move by lifting.” This was exactly what my sponsor was talking about. You see, the idea of never seeing my friends, now matter how bad they were for me, the idea of never seeing them again was scary. The Big Book talks about the hole in the doughnut. That’s kind of how I felt. I was quite certain that if all my defects were removed in the eradication sense of the word, if they were permanently taken from me, that there would be nothing left. I had been a sum of my defects my whole life. I only knew me by my defects. In fact, I didn’t think there would be anyone underneath all of them. Worse yet, I was scared to death there might be someone there, and she would be worse than the defective Jen I already knew. When I realized I didn’t have to say good-bye to my defects, I was relieved. I knew I had a long road ahead of me, and still do. But I could face the prospect of working hard to turn these defects of character into positive character traits. I was ready to have God set aside the negative aspects and show me the positive potential of these friends of mine. I wanted Him to help me turn sarcasm into honesty, self-indulgence into service, victimhood into compassion. I was ready to trade my superiority for humility, my criticism for empathy and self-reliance for God reliance. It was only by looking at my defects this way, but really understanding that just like me – flawed, imperfect, negative, defective me – these traits could be turned around. They could, just like me, be cleaned, restored and brought back to life. 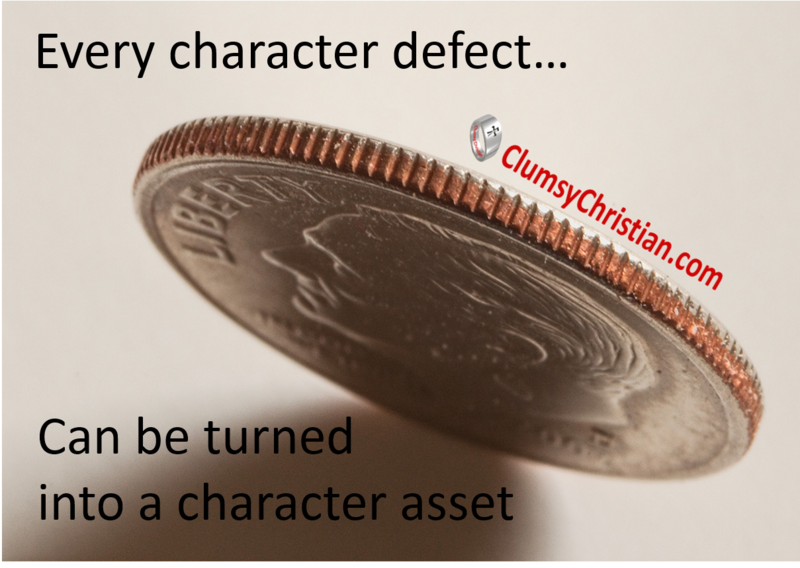 These character defects could be flipped over and instead of being used to tear things down, they could become the solid foundation on which the good traits are built. When I could see the process this way, as restoration and not eradication, I became willing to complete Step 7. Steps 6 & 7 don’t require the same amount of work as some of the other steps. They are not steps that I have to do perfectly. They aren’t steps I have to share with others. But they are steps I must do every single day. I must ask God for the willingness recognize my defects of character. I must humbly ask Him to remove them. And I must work with Him to restore these traits to their intended purpose for His good. Eventually, these old friends, the ones that got me kicked out of parties and blacklisted by family members, have become some of the most upstanding characters in my life. Instead of harming me, they have helped me learn patience and tolerance. They have shown me self-love, kindness to others and humility. They have helped me and others learn how to live with integrity and honesty. When they show up, people accept and admire these characters. And even though they are new to me, I’m learning to accept and admire them too.